That’s good for just over 30% off the regular going rate, $4-$15 off similar offerings at Amazon and the best price we can find. This band from Aerb allows you add to a Milanese Loop band to your Apple Watch for significantly less than the official first-party option. It has a stainless steel design, magnetic metal clasps, and a “stylish mesh” look. 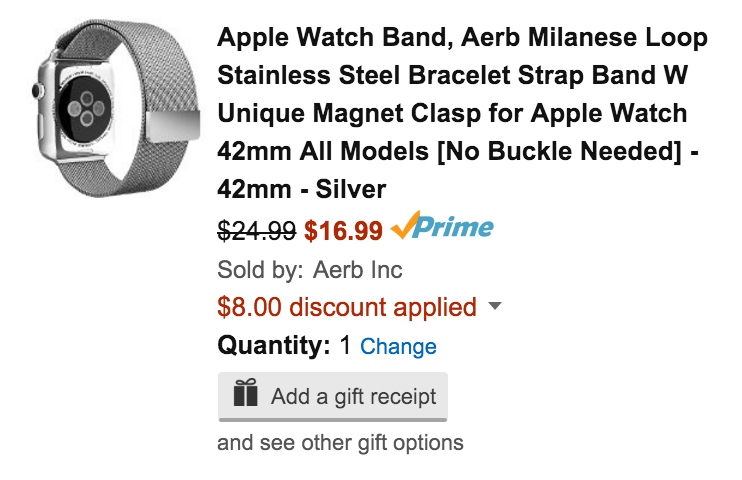 Aerb’s entire line of Apple Watch products is highly-rated, collecting 4.5/5 stars from over 1,500 Amazon customers.